Right now, in the thick of a chilly winter, it can feel like spring planting season is far off, but it will creep up on all of us quicker than we realize. In the meantime, there are plenty of tasks farmers can do to make sure planting goes smoothly when spring arrives. Chances are quite good that something, somewhere on your planter shook itself loose during last year’s planting season, so give your machine a thorough inspection, including all of the bolts on the parallel arm, the transport and field wheels, the center post bearing, and the hitch. Anything that’s loose, tighten it up. If the safety chain isn’t properly installed, or if the safety lights do not work correctly when connected to a tractor, the person operating the machinery could experience unsafe working conditions. This also is a good time to make sure that you have your slow-moving vehicle sign cleaned off and attached properly in a place where other cars and trucks will see it. This may be the most time-consuming part of the process since there are so many parts that may require replacement, but it’s worth it to have things run correctly in the spring. Check your row units and attachments, your drive line bearings and chains, and anything else on your planter that could wear out and require replacement. Once everything is in its place and working like a dream, go ahead and grease the entire machine, taking care to replace any fittings that may not accept the grease as well as they should. Your precision planting software is going to require an occasional update. Be sure to check in with us here at Bottom Line Solutions over the winter to see if there’s anything we can do to help ensure that your planter is completely up to date and ready to get to work once the weather warms up and the ground softens. We are always happy to help however we can, even in the off season. 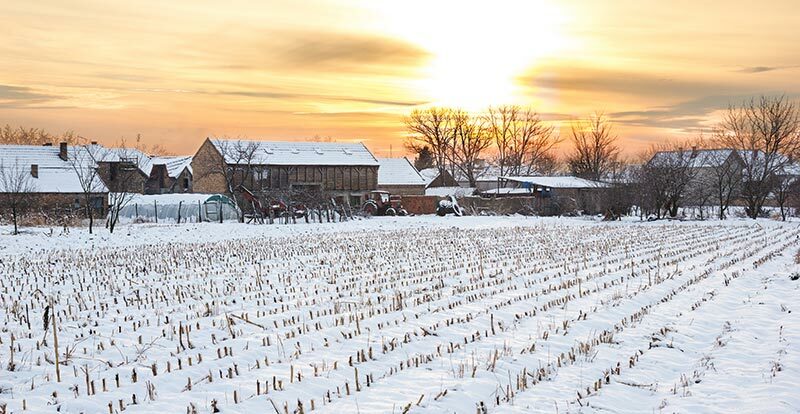 If you can do these things in the winter, your springtime will go a lot more smoothly and machines will get out in the fields as soon as the weather allows. The early bird gets the worm, after all, so an early start on prepping planters for spring seems like a great idea to keep farmers busy this winter.